At the foundations of Cire Perdue lies a bronze casting foundry which, since 1995, has worked alongside its artist clients in a way that is commensurate with the singularity of art itself. Such a goal demands technical facilities and expertise, steeped not only in an adherence to tradition and certain standards of excellence, but also requires aesthetic sensitivity and empathetic craftsmanship. The Goodwin Foundry, founded, owned and closely managed by Kim Goodwin, artist and foundry man, has been operating since 1995 in The KwaZulu-Natal Midlands of South Africa. Goodwin runs a foundry which is designed around equity and integrity. The working environment within the foundry is purposefully structured to support, both emotionally and professionally, the people who work within it. 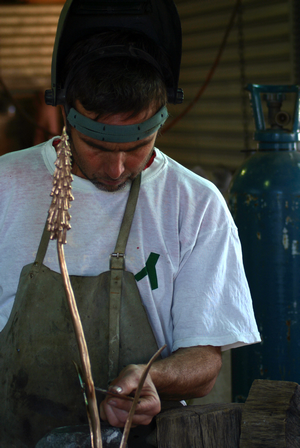 The foundry employs eleven people from the local community, all of whom are properly trained in their specific technical tasks and closely supervised to stay true to the foundry’s desire to produce the best quality bronzes. The Goodwin Foundry works alongside the artist to ensure that originals are faithfully reproduced. 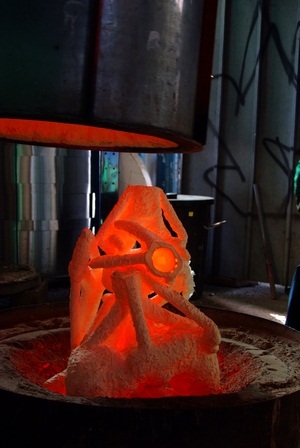 The particular focus on technical expertise and the passion with which specific challenges are embraced, is a disclosure of the foundry’s aim to ensure that technical obstacles do not translate into artistic constraints. This foundry is indisputably the leading foundry in KwaZulu-Natal. Through its doors have passed nearly all of the recently commissioned large public sculptures. It has cast, and continues to do so, for nearly all of the prominent artists from KwaZulu-Natal. 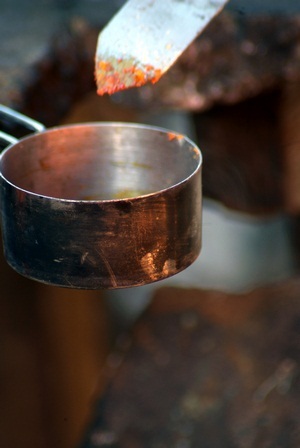 The fundamentals of foundry work!